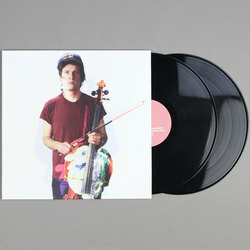 Arthur Russell - Calling Out Of Context. Vinyl LP. Bleep. 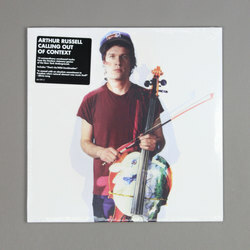 Originally released in 2004 by Audika and Rough Trade, Calling Out Of Context is a compilation of previously unreleased tracks recorded by the legendary Arthur Russell at various locations between 1973 and 1992. All aspects of Russell’s formidable reputation are on show here: from the breezy disco strut of ‘Calling Out Of Context’ and the minimalist hip-hop production of ‘Hop On Down’ to more experimental electronic explorations such as ‘I Like You’ and ‘Calling All Kids’. Russell’s unique imagination, breadth of inspiration and attention to detail are all encompassed here in a singular document of his contribution to both electronica and modern jazz.